Tables of Contents in Ebooks: Yes! There’s a big brouhaha going on now with Amazon. Scammers and other crooks have flooded Kindle Unlimited. Amazon is making one of their sweeps in an attempt to root them out. As per usual, when automation is unleashed, innocents get caught up in the net–sometimes with very expensive consequences. One of the ways publishers are being dinged has to do with the tables of contents. Crooks are manipulating them to game the Kindle Unlimited page reads, so Amazon is going after ebooks that lack a standard (in form and in placement) ToC. Amazon highly recommends that every ebook has an active (publisher generated) table of contents, and requires an internal table of contents (this is what you see when you use the Go To feature on a Kindle). For more information on Amazon’s policies, start here and don’t forget to read this. The two most common arguments I get against building a Table of Contents in an ebook are (1) It’s a novel. It’s stupid to put a table of contents in a novel. And (2) A long list of chapters eats up the sample/Look Inside features at Amazon and hurts my chances at a sale. My answer to #1 is: Novels don’t need tables of contents, but ebooks do. A reader can’t just open a book to the middle and leaf through a few pages to find Chapter 9. They have to navigate. An ebook without a ToC requires endless paging through to navigate and that’s no fun. As a reader, an ebook without a useful navigation guide is a broken ebook, and it’s irritating. For those who point out that the internal ToC is the navigation guide, my answer is that not every Kindle device (or other reading devices) displays the internal guide. Instead the device points to the user generated table of contents and if there isn’t one, the link is grayed out–useless. The answer to #2 is not so easy. For non-fiction, it’s a no-brainer. A comprehensive table of contents IS a sell point. Readers want to see what they are getting and a solid ToC in the sample/Look Inside can often tell them everything they need to know. For novels, especially with a lot of chapters, it does get trickier. I’ve read ebooks with up to ten “pages” of chapter lists. Endless Chapter 1, Chapter 2, Chapter 3… This does eat up the sample/Look Inside. It’s useful once the reader has purchased the ebook, but for tempting them into buying in the first place, it can be harmful. The temptation is strong to forego the ToC altogether or to move it into the backmatter. Normally, I’d recommend putting the ToC in the back of the book, but with the current Amazon crackdown, I would say that for any ebook enrolled in Kindle Select/Kindle Unlimited, DO NOT DO THAT. Any perception that you are somehow gaming the system or bending the rules can cause you to run afoul of Amazon’s policies. Let’s explore some practical options. For those of you formatting in Word, onsite conversion will build your internal ToC. The conversion seeks out sections based on styles and/or chapter headings (It picks up “Chapter” for instance). For a full explanation, look here. The easiest way to do this is to use Word’s built in heading styles: Heading 1, Heading 2, Heading 3, etc. Apply these to the chapter/section starts. Conversion will do the rest. What if you have thirty+ entries? A simple solution is to put all the entries in a block. In Word, if you use the built-in Heading styles, all you have to do is style your table of contents to look the way you want it, then use the automatically generated bookmarks to link to the entries. Don’t forget to test all your links–no matter how you build your ebook. It’s easy to mis-link an entry, but even easier to fix it. So test, test, test. It won’t be very useful for your readers, but it will put you in compliance with Amazon. This entry was posted in Adventures in Self Publishing, Ebook Formatting, Formatting in Word, Uncategorized and tagged active toc, amazon ebooks, amazon polices for tables of contents in ebooks, heading styles in Word, html toc, internal table of contents, ncx toc, table of contents. Bookmark the permalink. If I had you develop my ebook, I don’t need to worry about this, right? I especially like the block format. I like it, too, Julia. It’s especially helpful on a small screen, such as a phone, where a ten “page” chapter list can easily turn into thirty. As a formatter, they are easy peasy, but as a reader I don’t particularly care for them. I do my reading these days a tablet, but I still have an old Kindle–it doesn’t display the internal ToC. If I were using it and a book didn’t have a comprehensive ToC, I’d be annoyed. Then again, I imagine genre is a factor. For a short romance novel, for instance, I doubt very many readers would miss a ToC. For a weighty historical or complex literary novel, where many readers backtrack and bounce around and bookmark (I can’t be the only one!) the ToC is essential. What it boils down to: Know what your readers want. Another reason why it’s worth it to me to have someone else do the ebook version. (I do everything else). I love the way you formatted my last two books – an abbreviated table of contents in the front with a link to the ‘guide to chapters’ in the back. I can’t imagine that would violate Amazon’s TOC restriction. It’s an elegant solution and fits on a page. I’d like to redo the other three books of the series in that format eventually. Good post and I saw David G’s post about this too. The ToC being in the front has actually been a requirement for Amazon per the Kindle Publishing Guidelines since I started out (5 years ago). Kind of lame though that they decided to enforce it all of a sudden. The language in their policies is ambiguous, at best. Calling something “highly recommended” is not the same as calling it required. They have precious little quality control going in and very little enforcement of their policies once a book is published. Amazon’s problem is one of scale. There’s too much to police–the way things are now. When it hurts them in the pocketbook, THEN they start slinging the 8-pound maul. I don’t know what the solution is. I’m not a computer person, so I have no idea how easy or difficult it would be to enforce policies at the listing stage. Nor do I want to see Amazon resort to “consumer reporting.” The potential for abuse in that is huge. Amazon’s system actually encourages scammers and gamers. Maybe they should put in place a few hoops for publishers to jump through. I saw that. Again, Amazon is being ambiguous and, to me, that’s only asking for trouble. As I said before, I don’t know how Amazon can solve many of their problems. When it costs them money/customers, then I’m sure they’ll come up with something. Until then, I can only do my small part by building solid ebooks for my clients and encouraging others to use best practices and resist the temptation to game the system. Even with fairly long chapter headings (which are actually part of the story), the print version of my debut novel takes only one page (I cleaned it up and shortened until it did), and the equivalent ebook ToC takes about the same unless you make the font very large. I was important to me to have navigation available and useful because the book is very long. The chapter titles give you an idea what the chapters are, and where you are in the book. I’ve always wanted to have what I ended up with, and it is in the front and complies with the ToS, so I guess I dodged the bullet on this one. Thanks for the detailed images; I will compare my code with them and see if mine (produced by Scrivener) is similar. You can check your internal ToC (tocncx) with any epub editor, Alicia. Calibre has one. Sigil is an easy to use option. Making the ToC interesting is another solid option that writers can use. I have learned to use TextWrangler and check out the contents to these files directly; that’s what I’ll use because I’m already comfortable with it. 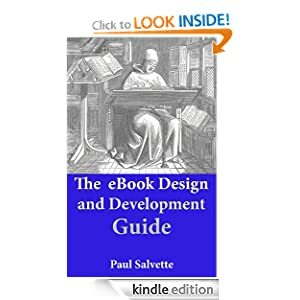 I’ll compare visually to your code; I know it works and is already at the front of the ebook when I read mine, so whatever Scrivener does automatically worked for me – I didn’t fiddle with it. 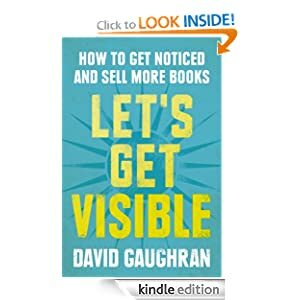 One easy way to quality-check a Kindle file is to use the Kindle Previewer. You can see how your styling acts on different devices and make sure your internal ToC is up to snuff. For those who use Word to format their books, they can convert their Word doc into a .prc file using MobiPocket and then load that into the Kindle Previewer to look for any formatting errors or construction issues. Fix the issues in the Word file and carry on as usual. A big thank you to JW Manus for this helpful post on Table of Contents and Amazon. Perfect timing, Jaye! 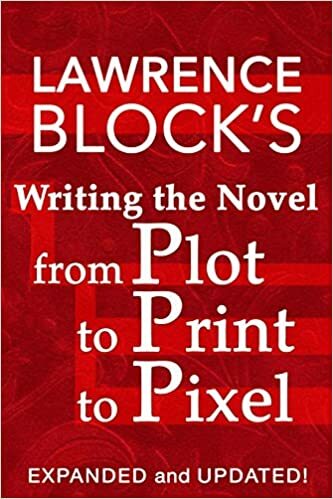 I’m formatting my ebook and love the ‘block’ solution for the TOC. Thank you!